Two nights ago, my fourth Wandering Earl Tour officially came to an end. Our group of ten mighty fine individuals wined (drank beer actually) and dined for the last time together after having traveled around Romania and Moldova for the past two weeks. And while I genuinely hope that everyone on the tour enjoyed their experience in this part of the world, I don’t hesitate for a second to state that I thoroughly enjoyed the experience myself. In fact, these last two weeks helped me reconfirm a couple of things. First, I absolutely love running these Wandering Earl Tours. Never did I imagine I would ever work on a project like this but now, I literally can’t wait for every single tour to begin. Second, I absolutely love Romania and Moldova and all of Eastern Europe in general. Despite the frustratingly poor customer service, despite the sometimes initially drab appearance of towns of cities and despite the fact that less things go according to plan over here than in India, there is a magic to this this region that makes it quite appealing to me. And it is this second point that I want to expand upon below. You see, during our group’s 8.5 hour bus ride from Chisinau, Moldova back to Bucharest a couple of days ago, I had plenty of time to think. My only other option was to massage the head of the man seated in front of me because of how far back he chose to lean his chair, but his hair didn’t look very clean and so I decided to just sit and think instead. And as I jabbed my knee into the man’s back in an attempt to give him some indication that I would rather not have his head in my lap, that’s when I randomly started formulating a mental list of my favorite locations in Eastern Europe, the cities and towns that, when I take my collective experiences from visiting each one, have created the foundation of why I love this region so much. Affordable, welcoming city for foreigners that I would consider one of the most livable cities in the world. There’s no shortage of friendly Romanians interested in making friends with travelers here and Bucharest’s location is ideal for exploring not only the rest of Romania, but several other countries in the region too. Favorite aspect: Definitely the people. I meet more local people in one week in Bucharest than I would normally meet in one month anywhere else. Whenever I end up in Brasov, I have a very difficult time convincing myself to leave. It’s a small (very walkable), medieval city wedged in between the mountains of Transylvania with a great mix of history, cafe culture, excellent food (try Restaurant Sergiana if you go!) and endless opportunities for day trips to surroundings towns, villages and nature activities. Favorite aspect: Overall atmosphere. I truly find it impossible to not be happy while in this town. Simple as that. 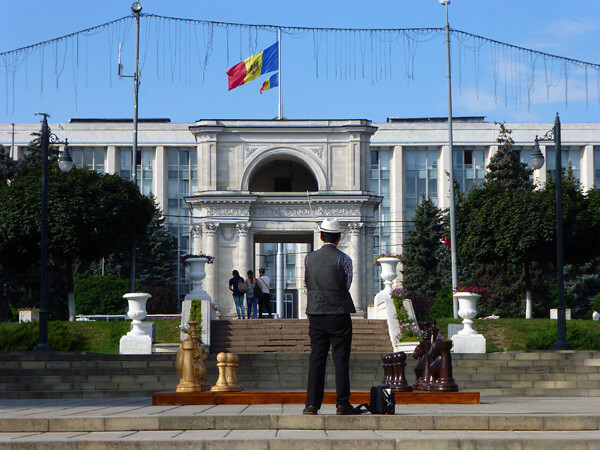 During our stay in Chisinau as part of my Wandering Earl Tour we didn’t see any other tourists in the city center during our four day stay. And that’s because there really are very few tourists who visit, maybe due to the fact that there isn’t a great deal of things to do and see. However, Chisinau is still a place where I could spend some significant time. You’ll be asked “Why are you here?” by locals every day and that often leads to conversations and new friends, almost instantly. Throw in some more tasty food, some great nightlife, inexpensive living costs and day trips to wineries, the impressively set cave monastery at Orheiul Vechi, the breakaway region of Transnistria and you have a fun, culturally interesting (for example, the mix of Romanian and Russian languages used in daily life) destination that offers more than it seems at first. Favorite aspect: Clearly being one of a handful of tourists in the city at any given time. You’ll stand out and people will want to talk to you as a result, once again making it very easy to interact with locals and have a social life here. The main square in the Old City is quite an attractive one and while there might not be much to do except wander around every day, there’s something that makes Lviv the kind of destination you feel you could actually live in for a while. I planned to spend a few days and I ended up spending over a week here just a couple of months ago and the only reason I left is because I had a flight to catch. Favorite aspect: Ideal location for those who work online. During my time there, I had such a great daily schedule (when I wasn’t battling a cold) that involved a morning wander, a few hours of work at a friendly cafe, a delicious lunch, two more hours of work and an afternoon wander around the outskirts of town, all followed by a few drinks at one of the local bars or terraces around the city center. Built along the Yantra River, on top of three hills, this community used to be a major cultural center during the Middle Ages and an old capital of the Bulgarian Empire. Now it is a stunningly located town with a castle, traditional old quarter, quiet villages on the outskirts, plenty of hiking opportunities, as well as delicious food, affordable accommodation, welcoming people and a laid-back atmosphere that often keeps travelers here for much longer than they had originally planned. As I’ve stated before, this town, as well Bulgaria in general, just might be one of the best value destinations on the planet. Favorite aspect: Eating and people watching. Most evenings I would head to the main street in the old town with a few other travelers, sit down at a restaurant, order some traditional food and just watch the people go by, often talking with those around us over a beer or two. The window-heavy architecture of the homes in the old town is quite unique, the surrounding mountains are beautiful and the attractions (mainly the Citadel and the Berat Castle) are well worth a visit, but this town is all about taking a stroll. Each evening at around sunset, hundreds of locals walk out to the main avenue in the center of town where they simply walk up and down for a while. It’s a great scene, with both men and women checking each other out, friends meeting up along the way and those needing a rest throwing down some beer or coffee at one of the cafes that line the street. As a foreigner, you should just show up, join the crowd and see where it all leads and believe me, you’ll want to partake in this evening event every single day. Favorite aspect: That evening walk. Maybe it’s because I visited this coastal town at the perfect moment, right when I needed a one week beach vacation away from my laptop but my stay here was one of the most relaxing and therapeutic experiences of my life. I imagine it had something to do with the view from the balcony of the apartment I rented, although, the nearby beaches, picturesque old town and friendly locals had something to do with it as well. Favorite aspect: The view. I could have sat on my balcony all day, every day just staring out at the Adriatic Sea, feeling the light breeze while allowing my head to clear more and more every minute. 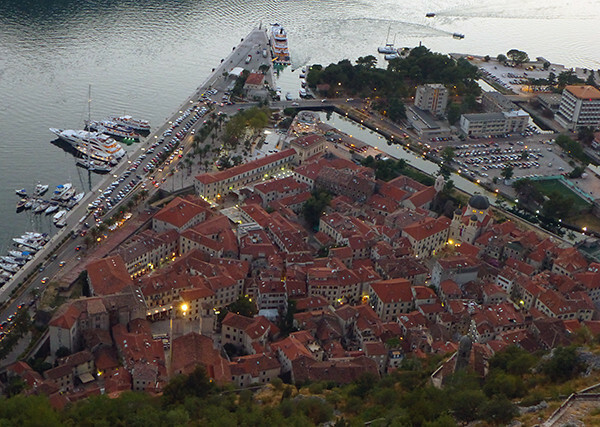 Many places are described as having a ‘fairy-tale’ setting but Kotor might fit that description the best. As soon as you step through the main entrance to this fortified, medieval town, you realize you’ve entered someplace special and that feeling remains whether you’re walking around the narrow cobblestone lanes, climbing the fortress for unreal views out over the Bay of Kotor or going for a swim just outside the city walls. There’s also yummy baked goods being sold at several bakeries, a large fruit market, plenty of bars and terraces for the evenings and some great cafes located along tiny plazas amid the maze of lanes…not to mention Kotor being a short distance away from several other towns along Montenegro’s coast. Favorite aspect: Climbing the hill to the top of the fortress in order to watch the sunset. You won’t want to come back down. Another of my favorite capital cities, I immediately took a strong liking to this place when I visited. 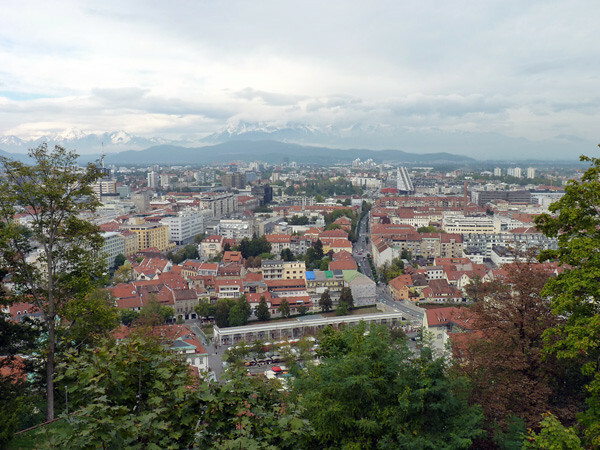 In fact, I enjoyed my stay so much that I quickly wrote a post called “I’m In Love With Ljubljana“. Read that post and you’ll see why I am so fond of this city! Favorite aspect: Everything. So there you go. For one reason or another, those are my favorite travel destinations in Eastern Europe. I have nothing against any of the places that I left out. The above locations just happen to be those where I truly appreciated my experiences more than usual. There are thousands of more destinations in this part of the world to visit of course and I am always meeting other travelers, and locals as well, who have been or who live in these countries and who have offered their suggestions of places I should visit. It’s never ending over here, although, the main problem, at least for me, is that the good weather only lasts for half the year at best! I’ll get to them all eventually even if, after I ask this next question, my list of additional destinations to visit in Eastern Europe once again grows considerably. What are you favorite locations in Eastern Europe? If you haven’t been, is there anywhere in this part of the world you would love to experience? Have you been in Poland? I think that you should visit this country and I’m sure you will love it 🙂 You can visit for example Szczecin. It’s really easy to get there because there is an aiport near the city. And if you are wondering where to stay, 100-year-old renovated Dana Hotel will be a good choice. It’s located in the city center. Hey Maggie – I have not been to Poland yet for some reason. I do want to get there though! I enjoyed this post greatly, it’s bursting with great suggestions for us as we now live in the north of Romania ( Breb, I’m sure you know it). We have so much exploring to do and a battered old 4 wheel drive to do it in. Please come have a beer with us if you make it over our way again. First stop Moldova I think. thanks for the shared stuff dude. if ya wanna highly recommend 5 best cities in Eastern Europe to visit in order of priority, what are those ? Great post! Such inspiration for our 2016 travels, which will mostly be based in Eastern Europe. Romania, in particular, has always held a special fascination for me, so I KNOW we will spend a lot of time there. What are your thoughts on living in Romania as a digital nomad? You probably have posts on this, so I’ll poke about a bit more, but I’ve read of areas such as Brasov as being very affordable and pleasant. 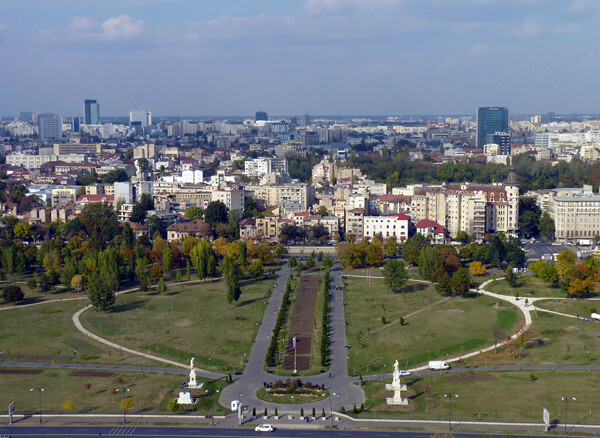 Hey Amy – Honestly, Bucharest is becoming extremely popular for digital nomads. There are more and more coming all the time mainly because it is so affordable and you have everything you could possibly need. And then the entire country offers so many opportunities to head into nature, to quieter villages and really have some unique travel experiences. Brasov is nice too but for me, it’s a little small and not as vibrant as Bucharest. I could spend a few weeks there but for longer term, Bucharest is one of those places that people hesitate to visit but once they spend a month or more there, they fall in love with the city. Thanks! This is super helpful. Here I am researching again and stumbled across my own comment lol! We are thinking of staying in Eastern Europe for awhile this fall, as we want to be somewhere very affordable. Are there good options for long term rentals in the region that you know of? My wife and I will be on our honeymoon this May. We have 14 days to get from Krakow to Milan. I did a similar trip a few years back on a quickfire Contiki tour of Western Europe as well Krakow, Budapest, and Ljubijana. I wouldn’t mind showing my wife how good those 3 were and experience them for longer, but I would also like to see some of the area’s outside of these main cities. Our draft 14 days looks something like this, Krakow/Poland – 3 Day’s, maybe stop in somewhere in Slovakia 1 day. Budapest/Hungary 4 days, maybe stop somewhere in Croatia 1day, Ljubljana 4 days. No accommodation or transport is booked, can you recommend the best places to go? And what is the best way to travel, local bus fares? If you want to send me an email I can offer some advice. Hi! Came across your blog while researching for my trip to Eastern Europe. I have a couple places planned in my one month tour around the region. However, do you think I should pre-book my iteniraries like bus travels or tours? You said things are a little unexpected there, so I was under the impression that I need to be more flexible with my itenerary. I looked up bus times and tours durations or how long would my visit be, so I’m pretty strict with it presently. But I fear a slight change might affect, for example, my bus times and all. Hey Earl- I just found your blog and I subscribed to your email. If you get a chance to travel some more around Romania, take a trip to Targu Mures (my hometown). 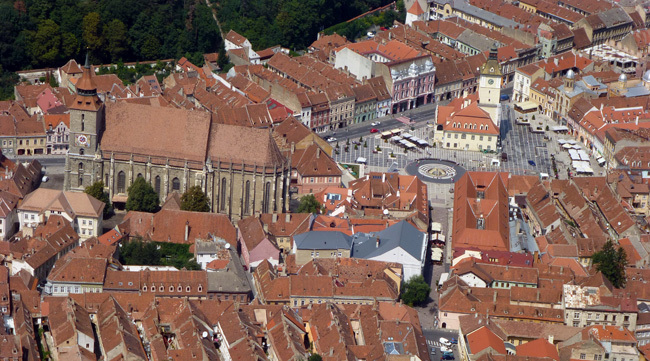 It’s a beautiful small city not too far from Sibiu. Also, Sighisoara and Cluj Napoca are awesome. Enjoy Romania! I miss it a lot. Hey Daniela – I would love to get up to Targu Mures at some point and I’m sure I will eventually! Sighisoara is one of my favorite places in the country and I’ve been several times. So many great destinations to visit in Romania! I agree 100%, Bucharest is an amazing city! The Romanian people are great. I spent a year in Bucharest and will always love that city. Thanks for sharing your opinions on other Eastern European cities. We are in Greece now, but will be headed to Macedonia and Albania soon. 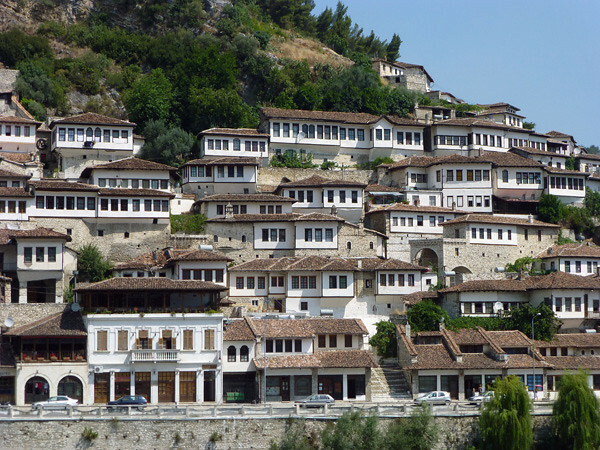 Just added Berat, Albania to our travel list. Cheers! Hey Erik – Bratislava, like anywhere, is as boring or exciting as you make it! As for other options, anywhere in Romania or Bulgaria would offer a lower cost of living, with Sofia, Veliko Tarnovo, Plovdiv, Buhcharest, Brasov, Sibiu all good places to try. Please suggest best places where I can enjoy Open Beach Life. Like Spain , no restrictions and where girls are very welcoming to spend time with you. Found your blog recently, really enjoyed it. My wife and I are going to have a short trip in Eastern Europe. I’ve travelled quite a bit around SE Asia, but this will be our first time in Europe. I often like the keep things a bit open and not book everything completely to allow for staying a bit longer or leaving early depending on how I feel, but with such a short trip it will be good to know in advance what some of our options are so we can make some sort of loose plans. We are flying into Prague on April 1st, and flying out of Budapest on April 10th, so we have about 10 days. Based on our flights we know we will see a bit if Czech Republic and a bit of Hungary. Any things we should not miss out on in Prague or in the rest of the country, and the same in Budapest and nearby that most people perhaps miss? We are thinking of maybe one more country to see and are wondering if you were going to choose between Austria or Croatia what kinds of differences would we perhaps encounter choosing one over the other. Which one is cheaper? Which one might be more beautiful/unique, have more things to do/see that are not too expensive, or any other things that might come to mind? I’m a musician so some nice live music from the area might be something I’d like to see, interesting architecture or sights, perhaps some sporty activities / hiking etc. We’ll be traveling with backpacks, probably looking to stay in hostels, or airbnb places. Would buying the Eastern Europe Rail pass be worthwhile? We also have 12 hours and 45 minutes between flights in Belgrade and wonder what type of things we might go see during the day and early evening between flights? Hey Trevor – I would definitely visit Cesky Krumlov in Czech Republic, great place. As for Austria vs Croatia, they offer two completely different experiences so it would depend on what you’re after. Croatia offers beautiful coastline and islands, Austria offers mountains, small villages and of course, the culture of Vienna. Croatia can be very expensive during tourist high season although, Austria is not too cheap either. They are probably the same from a cost standpoint. Both offer live music and interesting architecture, although very different types, and plenty of opportunities for sporty activities. It’s really a tough call and would need more research to see which country matches your interests more. As for the Rail pass, I don’t think it’s necessary. It’s quite inexpensive to buy train and bus tickets around Eastern Europe. For Belgrade, the airport is about 30 minutes away from the city center, so you could take a taxi into the center and go for a quick roam. The airport shuttle drops you off just a few minutes walk from the exact historical center of the city. Thanks very much for the info Earl. We’ve settled on Austria as it’s geographically closer so logistically easier for us. Plus at some point down the road we may want to return to Europe and see Greece which is close to Croatia, so it would make more sense for us to try dipping into Croatia if we go back. So far we’ve booked our hostel in Prague when we arrive, the Aparthotel Austria Suites across the river from Old part of town, and we’ve booked a train from CD Rail to our next destination of Cesky Krumlov, so nice to hear you talking that up. After that our loose plans are one day in Hallstatt, Austria, two days in Vienna then three days in Budapest. I’m wondering if CD Rail will serve all these needs? I think my wife said something about getting a shuttle from Cesky to Hallstatt because it’s apparently a lot quicker. @Sugar Plum Fairy – I shall do that for sure…I’ve wanted to go the seaside over there but just haven’t had time so far. But it will happen! Very interesting that you’re doing tours in this part of the world. It’s quite new to tourists and has some unexpected sides to it. Hope you’ll run them again in 2014, good luck! I am trying to visit Eastern Europe the entire month of September 2014. I will plan on visiting these places, based on that– how long should I plan on staying in these cities/countries and do you have any advice on hostels to stay at? Hey Brooke – It all depends on which places you like best. I would just start your travels and decide how long you want to stay in each place as you move around…some places you will want to stay for a few days, other places you will want to leave quickly…you won’t know until you get there! As for hostels, simply check out a site like hostelworld.com and you’ll find all the hostels you could possibly need. Couldn´t relate more to your post, I´ve always been under impression that Eastern Europe has SO much to offer! And although up until now my experiences with EE have been restricted to the Balkans mostly I think that heartfelt people, amazing food and nature that reminds you of Tolkien´s fantasy novels most of the time are the common denominators for all of it. Enjoyed your post on Ljubljana as well — this one (together with Predjama castle) are still to be checked off of my bucket list. Hi, Earl. So glad I found your blog. My daughter will be an exchange student in Blagoevgrad Bulgaria from January through May 2014. I think it’s about 45 minutes out of Sophia. My husband and I plan to visit her there for her spring break March 2 through 9. We have time on either side of that for our own travel. We are planning on 15 to 21 days. Maybe a few days in Bulgaria before her break. She would like to see Instanbul and Athens. Any suggestions for this vacation? We are wide open. Also any suggestions for other resources? I appreciate any assistance. Thanks for your blog. I’m so glad that you like Eastern Europe and are encouraging others. As a Brit, I’m spreading the word about going to Berlin and it hasn’t been easy LOL as people tend to think of the Communist Era.. I love Eastern Europe. I first started going there not long after The Berlin Wall fell and I used to live in the Czech Republic and Slovakia. Poland is great too. You’ve got to make it out there. In fact, we still go there every two weeks for the summer and I used to have people asking for photos and calling me “American”. I’m British! Hungary is amazing too and the people are just fascinated with tourists but I haven’t been to Romania, Bulgaria or The Ukraine yet, but I’d like to. I did an 8 day visit in Hungary and Romania in 2002 and I enjoyed it very much. I mostly hung-out in Budapest and I didn’t get all the way to Burcharest. The Romanians were very nice and the prices were great. However, as I pulled into the train station I was struck at all of the trash. For some reason balloons come to mind. For some reason Riomania is the only country I have ever been where I was afraid they woudn’t let me leave. I also remember a fair ground where the rides were all operating but it was empty. I think the natives drank a beer called Ursus. Earl, great read. You and I are very similar about our love for travel in the east. I currently live in Warsaw,Poland and get the opportunity to see many of the sites you have on this list. I would also add Kiev and Chernobyl, Wroclaw Poland, Lidzbark Warminski Poland, Tallinn Estonia. Keep on traveling and sharing your thoughts and writings. When you make it to Warsaw let me know. Safe travels. Thanks Tom and I still haven’t made it to Poland for some reason. It’s definitely on my list for 2014! Hi Earl, I am curious to know how you have been so lucky to be able to travel the world the way that you have? I have been wanting to do this my whole life but work has always been my issue. I would need money to do all these great adventures so how could i go about working while traveling? I have travelled to quite a few places betwwen the Americas and Eastern Europe but i want more. Please give me some tips if you could on how i coupd travel and make mobey at the same time. Thanks Earl, you are my idol and living the dream i have always had. Hey Liljana – I’m not sure how much luck plays a role. In the end, it really just takes a whole lot of determination and a good amount of creativity to make this lifestyle happen. Yes, you do need money for such a trip. I need money too. But there are ways to earn money out there that allow you to travel as well…and I’m of course not the only one doing this. There are thousands! Thank you for putting this list together, Earl! I just discovered your blog yesterday and am enjoying living vicariously through you. My husband and I are off next to Helsinki/Tallinn/Riga/Vilnius in December (hey, the vodka keeps you warm, right?) and I see you’ve already visited most of those spots. Like others commenting, I have a soft spot for Poland in general and Krakow in particular, though someone recently described it to me as touristy. In 1997 and 1999 it was certainly was not, but times change fast in Eastern Europe sometimes. Hope you make it to Poland soon! The question of what is Eastern Europe is a really interesting one. I think most people agree that, for example, Austria is not Eastern Europe, but Czech Republic, much of which is actually at the same longitude as Austria, is often referred to as Eastern Europe. I’ve heard people from Hungary say that they themselves do not consider their country part of Eastern Europe, but rather Central Europe (and it may be tempting, and indeed accurate to include Austria under that term). Anyway…nice list, and I wasn’t trying to worry you about whether the term Eastern Europe was appropriate or not; I’m just a pedant and was mostly thinking out loud! Hey Sam – That’s why I just prefer to draw a line down the exact center of Europe and call everything to the west ‘Western Europe’ and everything to the east ‘Eastern Europe’. It’s the simplest way to do it in my opinion! Hey Nicole – Absolutely…there was nothing about that city that I could complain about! So happy to see you liked Brasov :). If anyone will come here don’t hesitate to contact me. I’d be more than proud to give you a tour around :). Hey Adelina – Thanks for the comment and I’m actually back in Brasov right now for a few days! Hey Earl! I just found your blog a few days ago, and I have to say it is incredibly inspiring to read about your travels. This post about Eastern Europe makes me want to just drop everything and go see the world. It must be amazing having the chance to live your life the way you do. I especially love hearing about all the quirks each city has to offer; it really gives personality to the names I’ve only ever seen on a map. I can’t wait to explore your site and read more! Keep wandering! Hey Tayllor – Thanks for the comment and welcome to the site! And if you haven’t dropped everything already and flown to Eastern Europe, definitely consider it at some point…you won’t be disappointed! As soon as I’m done with India, Eastern Europe has my name written all over it. I’ve loved the fact that you’ve been based in Romania as it’s let me experience through you so far! I love eastern Europe sooo much, and it looks like we have some of the same favorite places–so good to see Berat on the list. 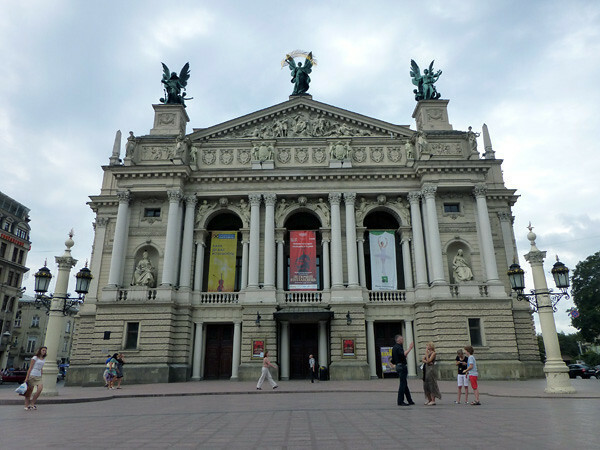 Your post made me really excited to go to Lviv and Chisinau! Thank you for this! It’s incredibly timely, as I’m contemplating my eastern European options for the winter/spring when I’m forced to spend my time outside the Schengen. Thank you so much for this post! I’m in Brasov right now and trying to plan the next 4 weeks of my Eastern European trip. You have some great suggestions. I absolutely loved traveling in Romania by beat-up Dacia and driving around Montenegro…though I could live without going back to Bucharest! Earl. I rarely hear of you visiting more commercial, touristy areas. Just out of curiosity, after traveling for so long, do places like those lose their appeal? And I don’t mean to imply that the locations you visit aren’t for tourists, or are any worse. But I never see posts about your trip to London, or Amsterdam, Barcelona, Venice. Maybe I’m mistaken, but it seems you’ve found yourself rather comfortable in E.Eu. I suppose I’m wondering about your motivations for travel, and how it may have changed over such a long period of time. Does eventually the sight seeing not fulfill your drive, and it becomes more about living a cultural experience? Less passive and more active? Hey Joseph – To be honest, it didn’t take long after I started traveling to realize that traveling for the sights was going to get old quite quickly for me. And I also realized that the most rewarding aspect of travel was the people I met and that is why I don’t really care where I go these days…there are new people to meet everywhere! But I don’t have much of an interest in those major tourist cities…I’ve been to most of them already and just prefer to spend time in lesser visited places where I have a chance to really experience something different. As a Romanian, I am extremely happy to see Bucharest up there at the top of the list and described as one of the most liveable cities in the world. I am also pretty happy that you happen to be here and share your Eastern Europe experiences with the rest of the world since people still consider this area a completely undeveloped, unwelcoming hell hole which is clearly far from true. Earl, this is a fascinating post. I have never visited any of these places despite having traveled extensively in Western and Central Europe. You have given me many additions to my travel wish list. Thanks! Nice to see a decent list of destinations in Eastern Europe, not the usual overrated places. I love the Balkans best. Belgrade is one of my favourite cities and I have returned three times. Sarajevo of course is definitely worth a visit. Skopje in Macedonia is a strange place building all these weird statues and monuments everywhere. I wonder where they get the money from. And Riga in Latvia is well worth a visit. 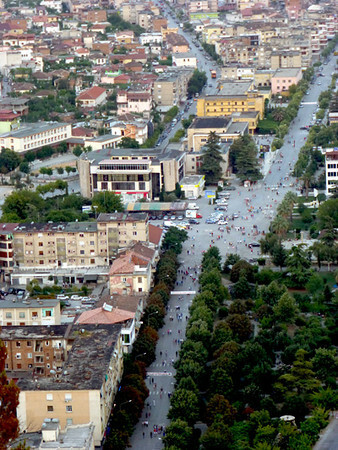 We’re planning a trip to both Albania and Montenegro for our RTW trip. I will definitely have to look into Berat and Ulcinj. I second most of those places. At least the ones we’ve been to… We saw 6 of those 9 cities and they where all good place to be and would also be good places to live. Maybe we should also try the other ones, we will keep that in mind. Zabljak in Montenegro is also be a good place to visit and go for a mountain hike. Ok Earl, all of your discussion of Eastern Europe on this blog has convinced me I need to go in the next year! Romania sounds awesome so I think that might be on the top of my list. 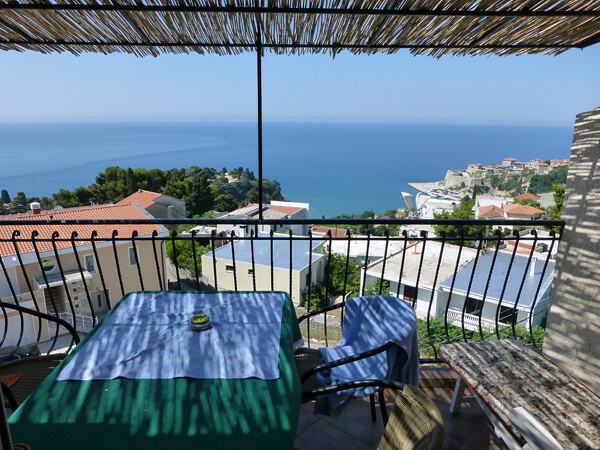 Just wondering how much your apartment with that gorgeous view in Ulcinj rents for? Also if you have any recommendations for Poland I would love to hear them! And I haven’t been to Poland yet unfortunately! Earl, I have LITERALLY just returned from my dinner in Restaurant Sergiana here in Brasov, Romania – and what should the first thing I see on my FB feed be, but this blog post! I just paid €9 for a two-course meal and a coke, and am now so full I can barely move. I’m just coming to the end of a three-week trip around Eastern Europe, and I know for a fact it won’t be my last time in this part of the world. Although it’s only been a brief sampling, I have pretty much loved everywhere I have been (a special shout out goes to Belgrade and Sofia) with one exception. And I’m sorry Earl but it’s Bucharest 😛 And although I struggled to like the city, I do think it’s fantastic how varied a person’s experience can be from another person’s. I’ll definitely be back in E. Europe as soon as I can to check out the Dalmatian Coast and hopefully Poland and Ukraine. No Mostar or Sarajevo? Still my 2 favourite places after my European travels. Albania is on the top of my list for a visit, although Croatia keeps trying to lure me back! Harish, Eastern Europe is cheaper than Spain, Italy and all of the countries in the west, much cheaper. But Russia is not cheap, and Americans (as well as Romanians, and who knows who else) need a visa. Other than that, great list. I loved Veliko Tarnovo. I would like to go back and spend extensive time in Bulgaria in general. There was nothing I saw there that I did not fall immediately in love with. I also fell in love with Ljubljana. My actual destination was Lake Bled, but I spent a few hours in Ljubljana on my way there. I need to go back and spend more time there. As I walked over the Triple Bridge, I was asked by a guy holding a clipboard if I would answer some questions about Ljubljana tourism and I excitedly told him “Of course! It is so beautiful here I would love to talk about it!”. And its true. Eastern Europe always intrigued me. I have been told that this is a different world altogether…much different from India, South East Asia, Western Europe etc. Reading your post about various cities, people and your adventure, I am thinking about visiting myself. I have a friend who lived in Moldova who was insistent that I come and visit him. Just a quick question, is eastern Europe as expensive as countries like Spain, Italy, France etc or little cheaper. All the best for your India tour. Hey Harish – As was stated by another commenter, Eastern Europe is much cheaper than Western Europe. Places like Bucharest and Kiev are always listed in the top 10 cheapest cities in the world (based on a similar standard of living). Moldova is even cheaper. Another great post! I love to hear anything and everything about Eastern Europe. 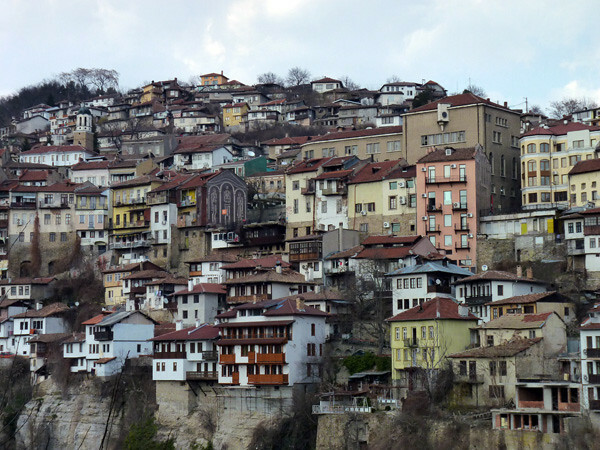 We have a house in the old part of town in Veliko Tarnovo, Bulgaria, and it IS magic. We hope to spend more time there in the future and dream of going off on our motorbike and visiting all the places you have mentioned. Have already visited a couple of the ones you mentioned. This summer my sisters and I had 3 nights in Prague (is that Eastern Europe??) although very touristy, we thought it was a beautiful city. Good luck with your tours – would love to join you one day as you would b a very interesting person to travel with! All the best! Wow, Earl. I never would have thought about going to any of those places, now I want to see them all. When’s the next Wandering Earl tour to Romaina? Oh gosh I haven’t been to any of these cities! i need to change that!!! Wow…loved reading about eastern Europe! Well, I am fascinated with every bit of Europe – it’s like an endless surprise! I can vouch for almost all places you mentioned in your post. I am an avid Eastern Europe traveler myself, and I have to say I have a soft spot for Krakow, Poland. Having lived in this city for half a year, I have to say there are very little cities offering the culture and nightlife as Krakow does! I can second Veliko Tarnovo 🙂 Spent numerous weekends and summer vacations there while living out of Sofia, and before that when I was still just traveling to Bulgaria. Hoping to go back in 2014, since I haven’t been there since 2009! And hope to spend more time in Montenegro as well. As well as Romania. I only briefly touched on Romania when I was living over there, and never did Montenegro…so I’d like to explore more. This is very timely. We’re currently at a point where we’re needing to slow down and spend even more time in a place and are starting to seriously try to find a long-term base. I want a place with more temperate weather and/or four seasons, so have been considering Eastern Europe since I love Europe and wouldn’t have to worry about the Schengen restrictions. Great list with great info! Hey Talon – There is no shortage of places over here that would be ideal for what you’re looking for. Let me know if you have any questions about this region! Great post as always Earl!